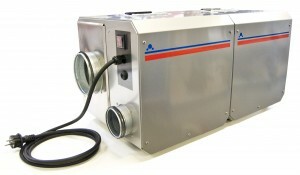 We have expanded our range of units with the DT-Multi units. With air flows from 440 m3/h, they deliver treated air to e.g. laboratories, archives, museums or other applications that need an all year constant humidity and temperature level. The units are equipped with desiccant dehumidification, heating, cooling and humidification. For mor information, please contact DehuTech.